This dormer addition, designed by Arciform designer Chelly Wentworth, stayed under the 12′ size restrictions. There are many things to think about when designing a dormer addition. Here are 5 things your designer will take into consideration. The size of your dormer addition can determine whether you will need additional permits and upgrades. By keeping it under 12′ you can typically avoid major seismic upgrades like sheer wall upgrades or adding posts and footings. 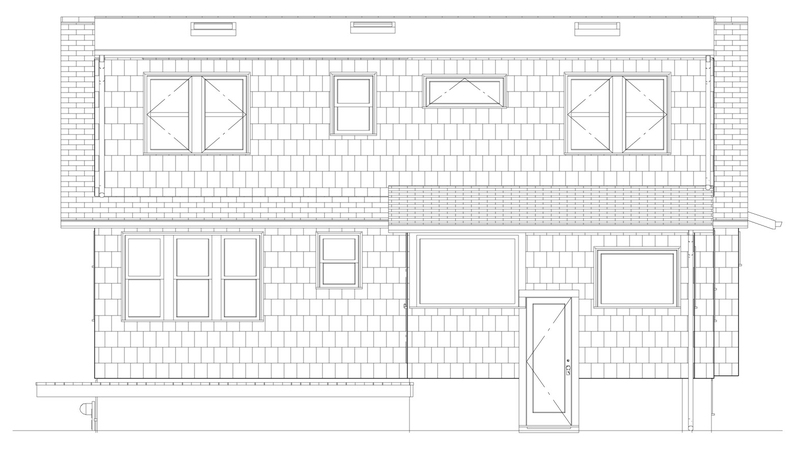 Designed by Arciform designer Chelly Wentworth, this dormer addition has new windows stacked. 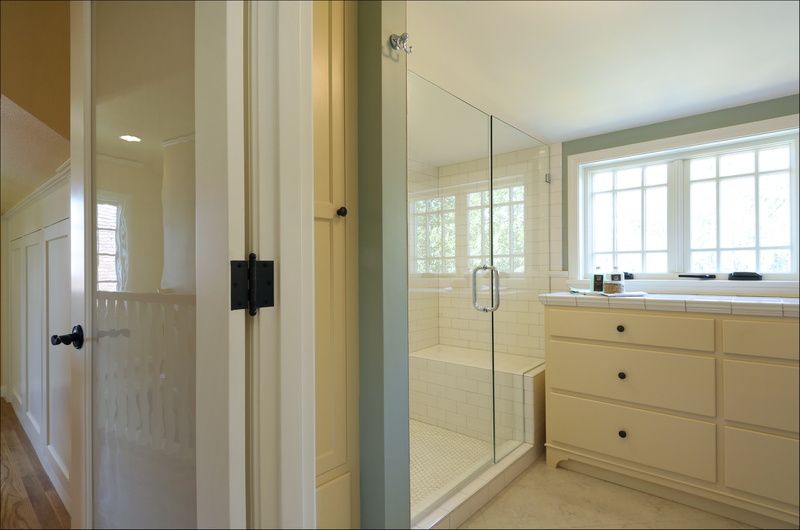 Stacking a bath over an existing is the most cost effective way to add a bathroom to a dormer. By tapping into the existing plumbing from below you will avoid major plumbing costs. 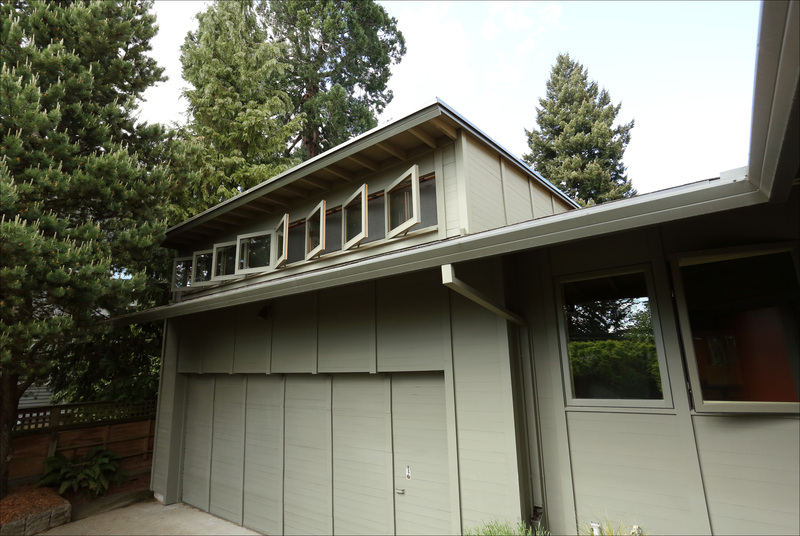 To avoid sizable seismic and structural challenges, stack new windows over existing ones. By doing so, the load of your house will not change significantly. The depth of existing joists can play a large role in whether or not your dormer addition will allow for a bathroom. 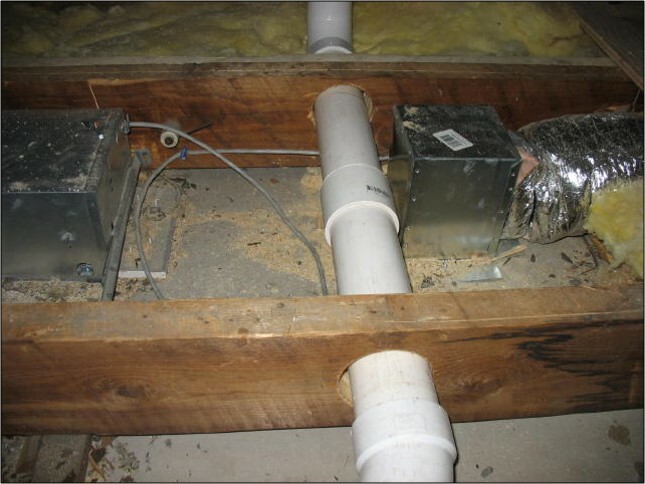 The joists must be a certain depth to accommodate plumbing lines, specifically for a toilet. Converting an attic into a dormer may also require structural improvements for the purpose of resisting wind or earthquake load and floor live loads (people, furniture). 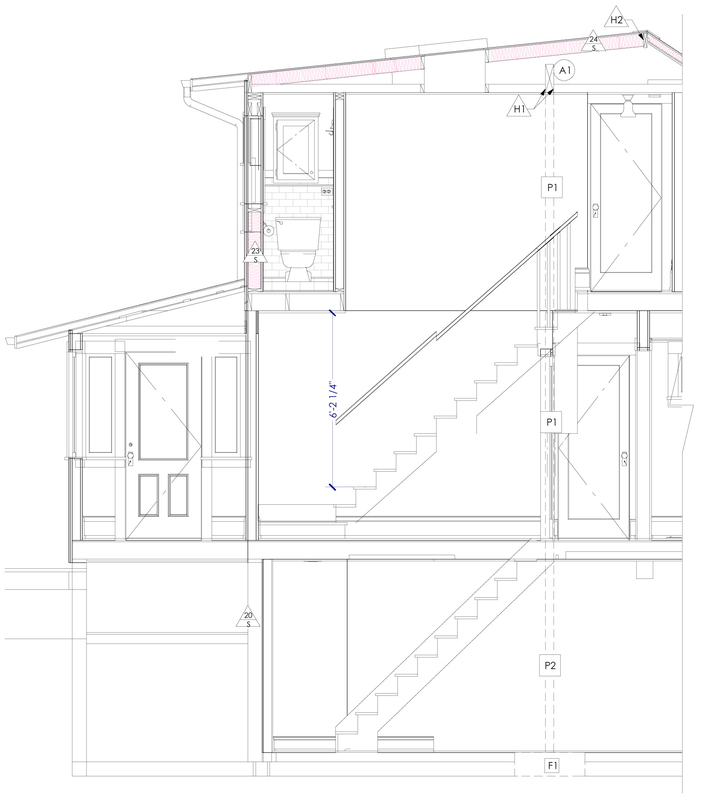 A plan by Arciform designer Chelly Wentworth shows the insulation (pink area) in a dormer addition. When building a dormer the required roof insulation is rated at R-38, which requires a minimum 2×8 rafter size. If you are planning to install recessed can lighting fixtures you will need a 2×10 rafter to meet insulation requirements. This can provide challenges when you are dealing with existing framing members that are smaller and if you are trying to keep a continuous roof or wall plane. This main floor addition by Arciform designer Kristyn Bester fits seamlessly with the aesthetics of the house. Make sure the type of dormer you are selecting is appropriate for your house – will it work with the existing roof lines? The two most common dormers are sheds and gable. A shed dormer designed by Arciform designer Anne De Wolf that ties into the existing roof lines. 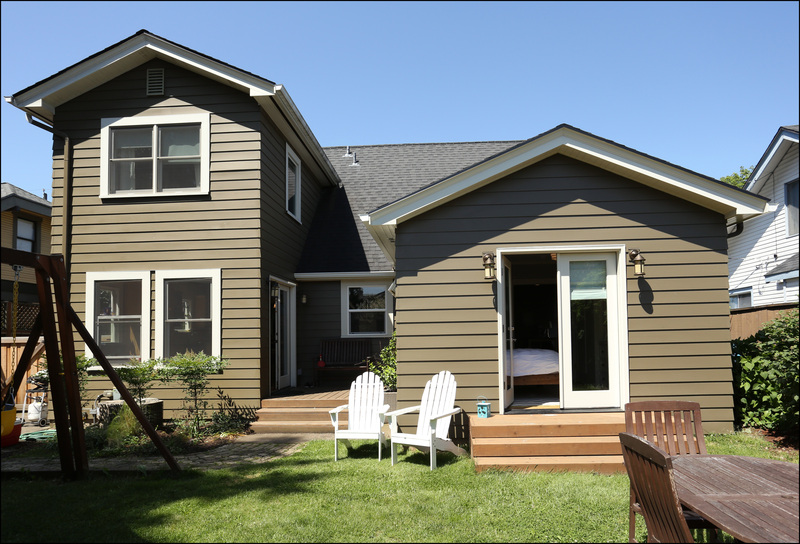 Typically off the back of the house, has a flat shed-like roof and allows for more headroom. These aren’t always aesthetically pleasing so adding character to the side will help to keep it appealing. A gable dormer addition, designed by Arciform designer Anne De Wolf. A more expensive option and does not have as much headroom. These are a great option for adding more light to your room. Are you ready to start planning your dream master suite or art studio? Schedule a design consultation to begin planning your next project here. Very timely, as we are in the midst of designing a two storey addition to an ontario cottage. Dormers will be vital for adding headroom in a bedroom and bathroom with a relatively low roofline. Great examples to share with our client!